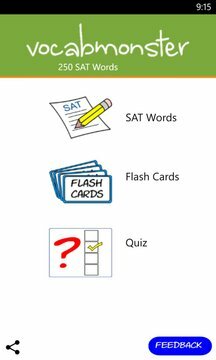 Master vocabulary words with lightning speed. 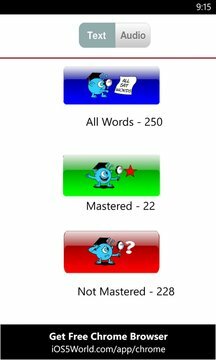 VocabMonster is an amazingly entertaining and rapid way to memorize and retain hundreds of SAT words in no time flat. It’s based on the proven science of mnemonics: an effective technique that makes it easy for you to remember and retain a word by associating it with a clever cartoon, mixed with humor and visual cues. Get it now from the App Store and start building a powerful vocabulary!